Because I am one lucky woman, my Hubby allowed me to indulge in my obsession for my birthday. We woke up relatively early, enjoyed a delicious brunch at a local cafe, then headed out to my favorite place in the world: Knitter's Edge. If you haven't worked with Berroco Flicker yet, you must. It's a mostly-alpaca/acrylic blend with some sparkles mixed throughout, so you know it's incredibly soft. Then again, I have a "thing" for all things alpaca, so I could be biased. Suffice it to say, I've loved every minute of working with it. The yarn itself appears more braided than spun, so it's been heavenly to work with. 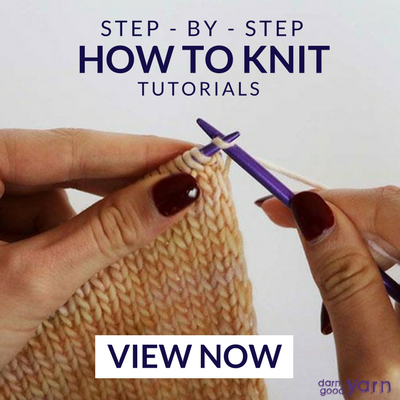 Although I consider myself a master of conquering yarn-splitting, it's nice not to worry about yet one more thing when trying to read a pattern. What pattern am I reading, you ask? 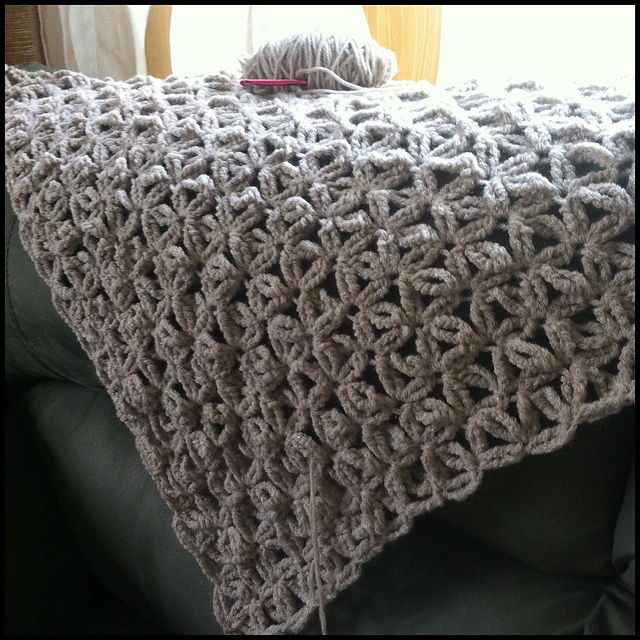 Well, I decided to revisit Jennifer Hansen's Celebrity Shawl. The last time I tried crocheting this shawl, I nearly threw myself out a first-story window (slight injuries, no death). 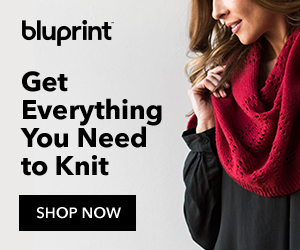 I was in college and using a beautiful Debbie Bliss yarn - that got incredibly tangled after tearing out the shawl numerous times trying to achieve proper gauge. 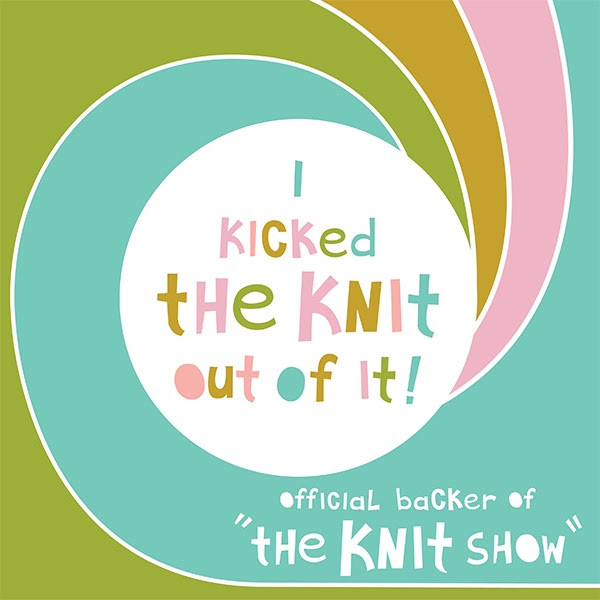 It didn't happen, and eventually the yarn was too knotted to work with. I downloaded the pattern again two weeks ago and was pleasantly surprised to learn it had been rewritten from the bottom up. What does that mean? It means your gauge is almost non-important. You can use any yarn as long as you eventually make your shawl 60some" x 35". My life is so much easier this time around. With any luck, I'll finish this puppy up over the upcoming weekend. I still have some adorable baby photo props to complete, but those should get done, as well, because my class ends this week and then I get a whopping week off between classes (at least I only have two left). Stay tuned for photos of those baby props - they're too cute for words. I just finished up a baby bunny + carrot set and need to sew on some buttons for the diaper cover before calling it a day. Now, I'm working on a pea pod and pea pod cozy, which should work up quickly with bulky yarn and size 15 needles.